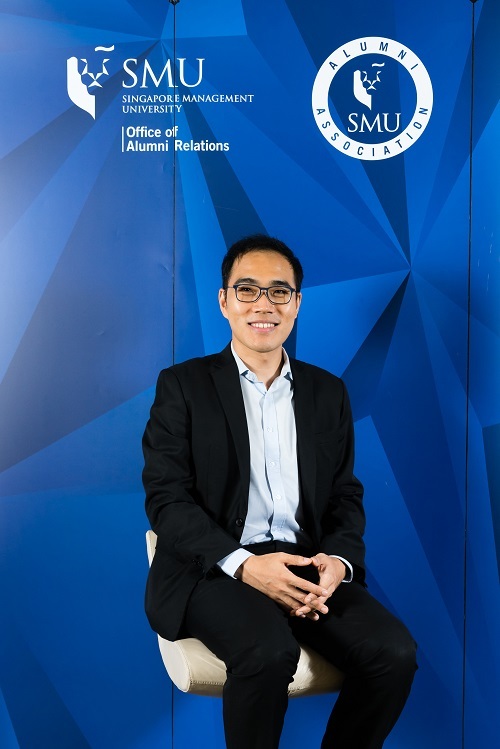 facilitate opportunities for ASMU Alumni to contribute back to the current SMU Ambassadors by providing the latter with mentorship and advice (in terms of jobs, internships, and overseas experiences including work/exchange programmes). To stay in touch with the Alumni Group, please email to asmu@smuaa.org.sg for more information. From left: Mr. Darren Ong, Ms. Christine Teo, Mr. Shawn Ho, Ms. Lui Fang Yu, and Mr. Nigel Teh. What is he doing now? I am an Associate Research Fellow at a Think-Tank known as the S. Rajaratnam School of International Studies (RSIS). The focus of this Think-tank is to conduct research on Asia-Pacific politics and security and to offer policy recommendations to policymakers. I have a passion for and interest in Korean Peninsular security issues and that is the focus of my research work at RSIS. What makes ASMU special to you? ASMU is special to me for many reasons, but perhaps the most important one is the amazing and inspiring people that I have met through ASMU. I am of course referring to each and every ASMU Alumni, current SMU Ambassador as well as the many other SMU staff who have been part of the ASMU journey over the years. This community is a very unique one that I hold close to my heart. Through this initiative, I hope that the ASMU community can benefit from the networks that we have and continue to build on the strong friendships that were first formed during our undergraduate days. 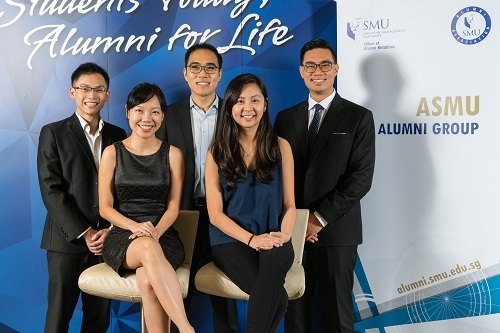 As the number of ASMU Alumni grows with each passing year, it is also important that our Alumni Group makes effort to connect Alumni from the different batches of SMU Ambassadors. Other thoughts about ASMU Alumni Group? I believe ASMU holds a special place in the hearts of all those who have been involved with the SMU Ambassadorial Corps in one way or another. 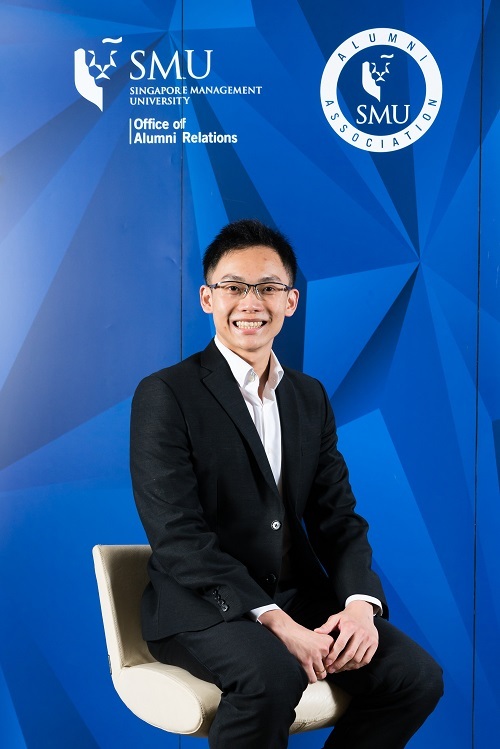 As we move on to different phases of our lives after graduating, I sincerely hope that each and every member of the ASMU community can spare some time to come back to our Alumni Group events and re-connect with old friends as well as make new friends from the junior batches of SMU Ambassadors. I am currently with the Singapore Economic Development Board, a statutory board under the Ministry of Trade and Industry. I sit in a corporate innovation team, specifically tasked to identify and incubate industry opportunities that are on the horizon but not yet materialised in Singapore. This spans the gamut of emerging technologies and emerging business model opportunities. My time with ASMU was an audacious journey. The opportunities and responsibilities that the university extended to us added immeasurably to my development both professionally and personally. Just as important were the friendships we built that saw us through our time in school, and that we continue to treasure today. Through the ASMU Alumni Group, I hope to foster a stronger sense of community across the different batches of ambassadors wherever we are. I am currently a 3rd year investment banking analyst at Barclays Bank PLC. I am part of the Corporate Finance generalist pool, and my job scope involves supporting the M&A, leveraged finance, and capital raising functions through building financial models, financial analysis, and research. ASMU is a very close-knit family, where alumni/seniors are very friendly and constantly help juniors in terms of personal and career development. At the same time, alumni/seniors and juniors build lasting friendships. This makes it a very unique and special group. I hope to contribute by facilitating activities and providing opportunities for ASMU alumni to come back to SMU and continue to remain closely connected to the Corps. I am currently an analyst at Goldman Sachs securities division and I sit in the Asia ex-Japan Equity sales team. My role involves maintaining relationship with institutional clients and distributing investment research, trading ideas, market information and analysis. The undergraduate journey with ASMU was special to me because through it, I have met some of my closest university friends and inspiring mentors. It is a special, diverse community built on shared experiences and anchored by the same values. Through the ASMU Alumni Group, I hope that fellow alumni ambassadors from different batches will have a common platform to continue learning from one another’s experiences and to continue building friendships. I am currently pursuing a postgraduate diploma in Education at the National Institute of Education. ASMU has gifted me with some of the most important friendships I've ever had, which I continue to treasure. Through the ASMU Alumni Group, I hope that we, as alumni, can continue the camaraderie of our university days well into the next stages of our lives, as we encourage and support our peers and juniors through the diversity of our interests and experiences.